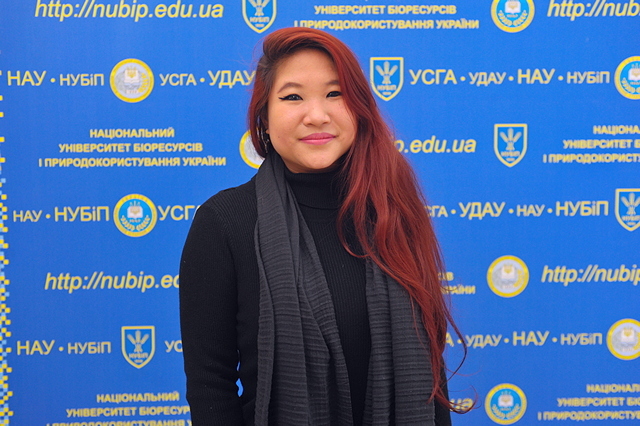 Lishia Ki from Malaysia came to NUBiP of Ukraine to study biotechnology. 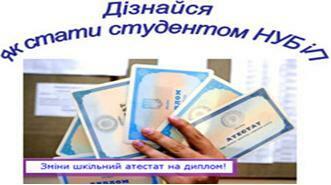 She completed 2 years of study in this speciality in her home country and came to Ukraine as an exchange student. She is currently studying Ukrainian and adapting to the life in a new country. Are there any differences between higher education in Malaysia and Ukraine? – Certainly. Education process at NUBiP is more interactive. Students can easily communicate with teachers, ask questions if something is not very clear. It gives much better understanding of learning material and facilitates the process of learning itself. In my home country lecturers only provide us with materials, and that is it. I would call such communication one-sided: teachers say - students listen. I'm very fortunate with my Ukrainian language teacher. Overall, Ukrainian people are very friendly and sociable. They are always eager to help you. How would you describe your impressions of the university and Ukraine? – The campus is striking! The nature is extremely beautiful. I especially enjoy the university botanical garden. But for me it's still very cold: the average temperature in my homeland is +30°C, so Christmas frosts became a challenge for me. I like Kyiv, although I have only been to the city center. During the winter holidays I was invited to visit Sumy region. I was pleasantly impressed by Ukrainian hospitality and national cuisine. I enjoyed stuffed fish and Olivye salad, but didn’t dare to try holodets (aspic). – Of course! I am positively impressed by the teaching style at NUBiP of Ukraine, its interactivity and democracy.